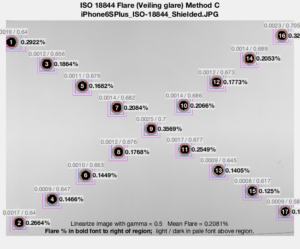 ISO 18844 is a flare calculation that works with diagonal arrays of high density light traps (black holes). 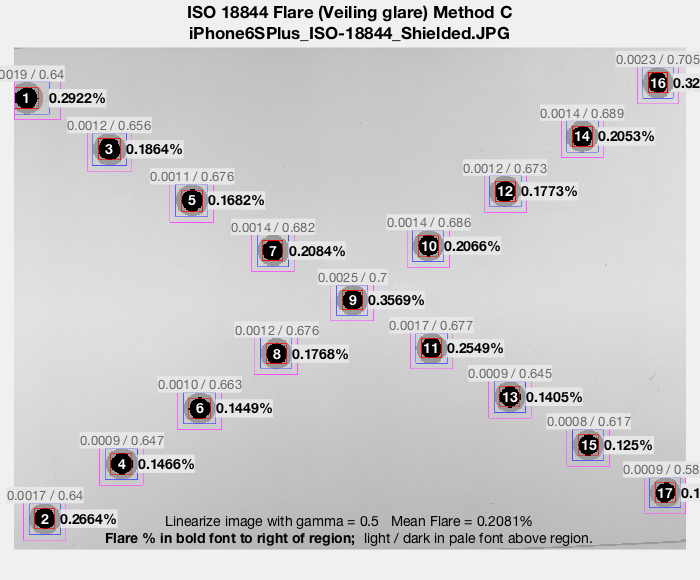 Imatest’s original veiling glare analysis only measures a single localized spot, but the effects of flare can vary at different locations within the field of your lens. 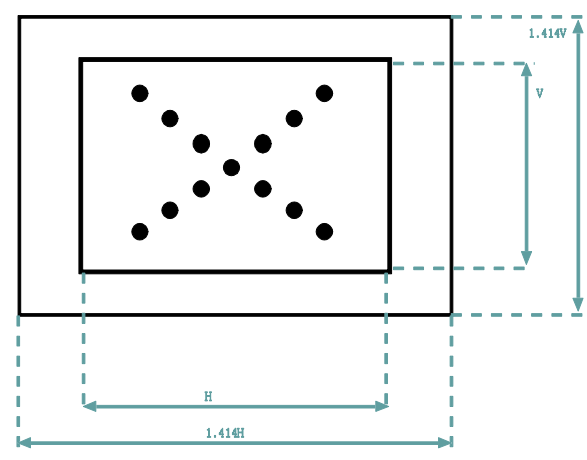 ISO 18844 measurement type C (using a single image of a chart with light traps) has been added to the Imatest Uniformity and Uniformity Interactive modules of Imatest 5.0. Its operation is described in the Veiling Glare page.